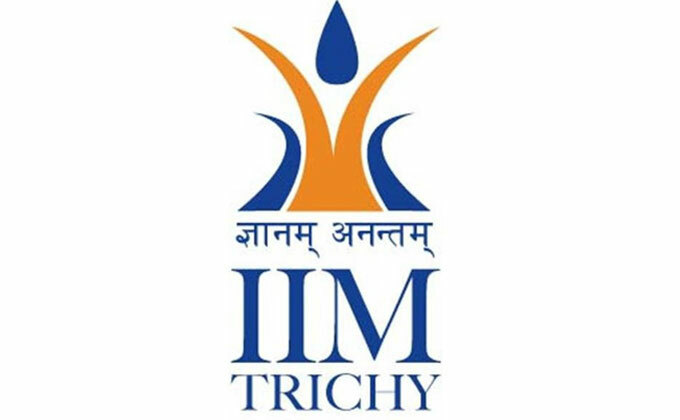 Indian Institute of Management Tiruchirappalli which also called as IIM-Trichy or IIM-T, is one more jewel in the series of Indian Institute of Managements which are delivering quality management education to the students. 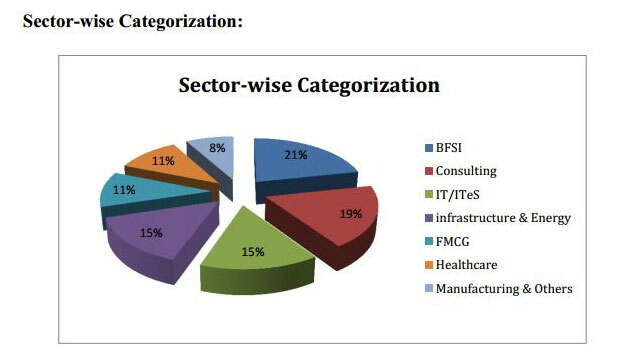 Located in Tamil Nadu in South, this institute has been established to promote quality management education in that area and is supported by IIM- Bangalore for some initial years. The former SEBI chairman M. Damodaran heads the board of governors while former IIM Calcutta professor Prafulla Agnihotri has been appointed director of IIM-Trichy. IIM-T is the 11th IIM started on Jan 4th 2011 by HRD and Telecommunication Minister of India, Shri Kapil Sibal. The flagship programme, Post Graduate Program in Management (PGPM), has been instrumental in the achievement of this goal. Indian Institute of Management Tiruchirappalli was set up in the year 2011. The Library has been called as Learning Resource Centre (LRC) and primarily designed to meet the requirements of the Institute’s academic programmes. The Library has a collection of books, databases, journals and magazines. Learning Resource Centre (LRC) is the Centre for academic and professional knowledge resources. LRC facilitates knowledge creation through its electronic search platform and access to a wide array of research resources on and off campus. It offers a vibrant and state-of-the-art learning environment consisting of a dedicated Business and Management related resources. 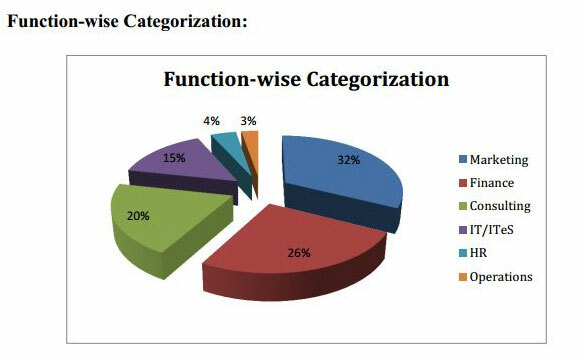 (d) Preparing the Final Selection List (FSL) based on CAT score, PA score and profile score including Work Experience (WE) score as assessed during the PA process, score for Past Academic Performance (PAP) and any other criterion included. 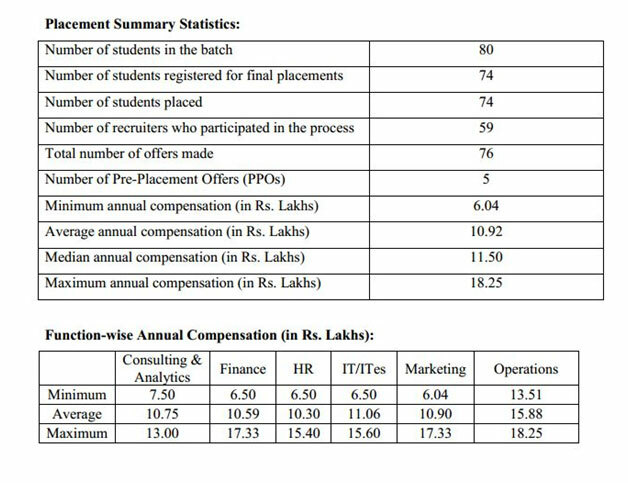 IIMT had a successful final placement process for the 2011-13 batch, the largest First Batch among all IIMs; all 74 students who had registered for final placements have been placed. This had been possible due to the enthusiastic and supportive recruiters who greatly valued the quality of our students and rigor of the programme. The diverse skill sets, varied experience, fresh perspectives and keenness displayed by the students were highly appreciated by the recruiters. 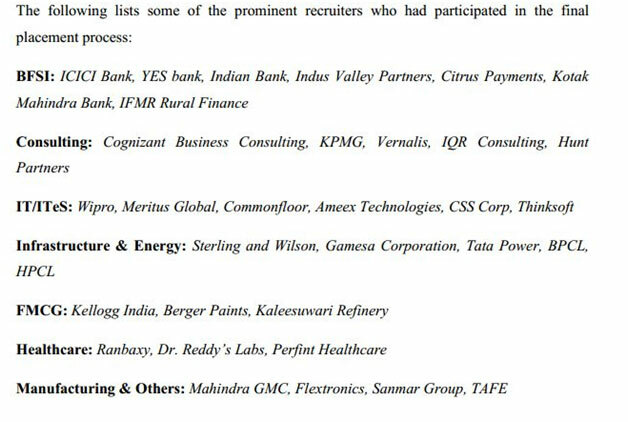 The placement process saw a total of 59 recruiters through a rolling process.